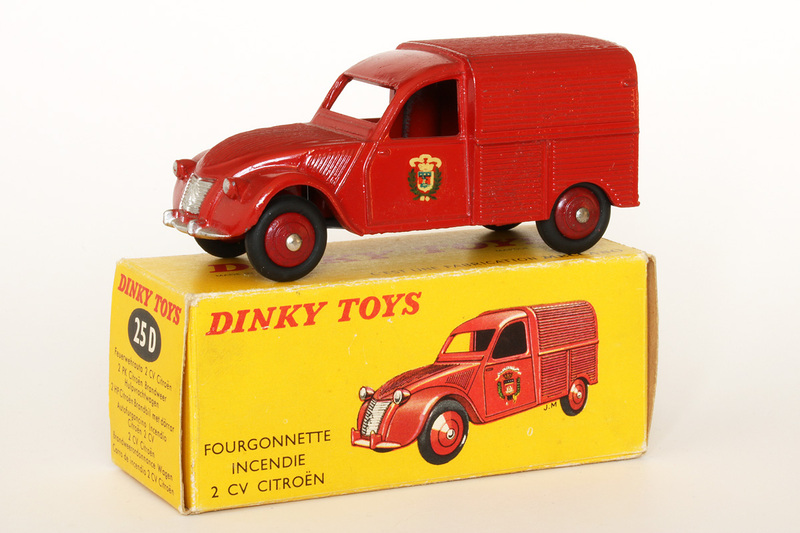 Here are 3 CitroÃ«n 2 CV Fire van variantes, that I like very much. The one on the box has the hubs in a darker red than the body. The one on the left has the hubs and the body in the same red colour. The one on the right has concave hubs. The 2cv on the right has a number 2 carved on the inside of the door ! Problem with the 1st photo. I forgot that I already opened it ! Thanks, Richard, so did I ! Some new photos of my first type 25D. Is the base plate always as shiny, glossy as mine? Remarkable that the rear door hinge pin is resting in the tinplate base! 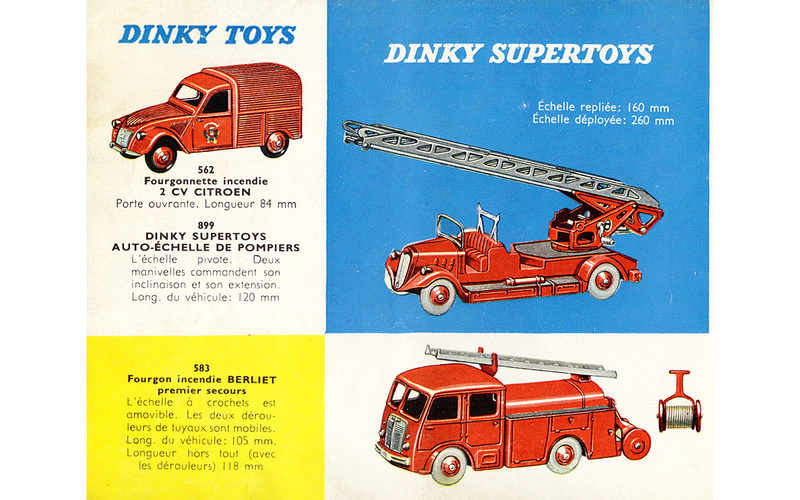 The catalogue page (French, 1960, page 14) representing the trio shown above (albeit with their new post-1959 numbers only). Jan---Very nice that you have wonderful examples of the French "fire brigade", making for a great display. Since this model was released in 1958, am guessing that it always came with the shiny black base. My late issue 24v Buick Roadmaster, from that same time period also has that base. All my base plates are shiny. That doesn't mean that all the production was like that !